A custom-designed Hacker-Craft was selected for inclusion in the Neiman Marcus Christmas Book, which is being mailed to 1.2 million people this week. The annual holiday tradition continues this year with a new selection of fantasy gifts that cater to people’s wildest dreams and promise to provide truly unique, once-in-a-lifetime experiences,” Neiman Marcus Direct president John Koryl said in a statement. “All of us are thrilled to have a Hacker-Craft selected for the Christmas Book,” president and CEO George Badcock said in a statement. 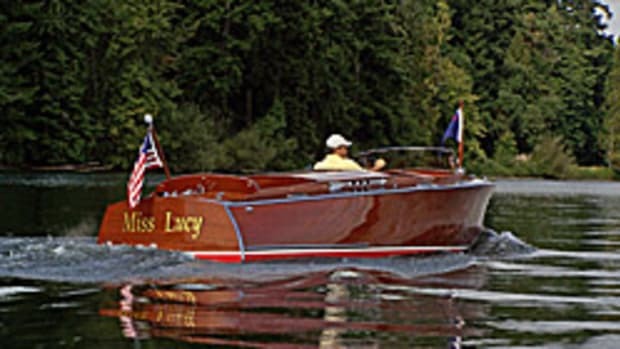 The Hacker Boat Company is the largest American builder of classic mahogany motorboats, the company said. Each Hacker-Craft is hand-built, and more than 1,500 hours of labor go into the construction of each boat.